The Portfolio Committee of Water and Sanitation was briefed by the Trans Caledon Tunnel Authority (TCTA); the Department of Water and Sanitation (DWS) and the Water Research Council (WRC) on their annual performance plans. The TCTA said its transformation Strategy included procurement policy reform for goods and services, as well as for infrastructure development. There would be a focus on job creation and employment of local citizens and the provision of bursaries to deserving students from previously disadvantaged backgrounds as a method for not only self-upliftment, but also for overall poverty alleviation. Pre-determined objectives emphasised the management and implementation of projects to meet defined objectives, while operating and maintaining the acid mine drainage (AMD) plants in accordance with the requirements. Key budget strategies included partnering with key stakeholders to address the current issues of water security, ensuring business process improvements and ensuring mechanisms for enhanced financial sustainability. The main fundraising activity for 2018/19 would be for the Vaal River System. About R6 billion would have to be raised to fund the redemption over and above the project’s cash flows and cash reserves. The funding plan involved the issuance of R2.7 billion in Johannesburg Stock Exchange (JSE) listed bonds and R3.5 billion of commercial paper. However, the TCTA faced funding challenges because of the continued lack of appetite for state-owned enterprise SOE debt, which had resulted in it aborting its first auction in February 2018. The main reason indicated for the lack of interest was on-going concern about the governance at SOEs. Members asked about the possible merger of the TCTA with the Water Trading Entity and its implications, why everything was about planning, but nothing was implemented fully, and the extent of support provided by the Authority to black industrialists. The Water Research Commission said its strategic and structural objectives consisted of five goals: enhancing the protection of water across the value chain; equitable access to reliable water resources; enhanced socio-economic development and transformation; efficient and effective development of the water and sanitation sector; and sound cooperative governance. Risks included its financial sustainability being linked to the strategy of creating new products and services, as well as the threat of fraud and corruption and the inability to recover in the event of a disaster. Members asserted that 82% of South African rivers were polluted, and requested a report on why that was the case. They also suggested that acid mine drainage should be stopped if it could not provide effective measures of redress. The Chairperson wanted details of the water crisis in the Madibeng area. The Department of Water and Sanitation (DWS) said the levels of ground water resources had continued to deteriorate significantly in the Western Cape, Eastern Cape, the western and southern parts of the Northern Cape and the central part of Limpopo last year. Despite the late summer rains received in March/April 2017 and in 2018, the country’s dams were still under stress and had to be managed with caution. The Department’s budget for the 2018/19 financial year had been reduced to R15.5 billion. However, it was expected to reach R17.4 billion in 2020/21, which was an average annual increase of 3.7%. It currently had a confirmed shortfall of R1.9 billion made up of accruals to date, the Butterworth emergency and definite amounts which needed to be paid back to National Treasury. The Water Trading Entity (WTE) had budgeted to spend R748 million less than its expected revenue in order to reduce its overdraft. Strict budgetary control had been exercised during the year and this surplus would be realized. The Chairperson raised the issue of the misallocation of budgets and the lack of partnership on water-related projects between the Department of Environmental Affairs and the Department of Water and Sanitation. A Member said the mandates of the entities should be understood clearly, especially with regard to the cleaning of rivers. Mr Ola Busari, Acting Chief Executive Officer (CEO): TCTA, outlined the Authority’s strategic goals. These were to deliver the Ministerial directives relating to the planning, financing and implementation of bulk raw water infrastructure, to meet specifications, and within agreed timeline and budget; to operate the business and its projects and processes in a cost-effective manner, conscious of the imperatives of public finance management; ensure that all project activities facilitated social transformation and built sustainable communities by providing jobs and empowering women, youth and the disabled; and built the knowledge and capability of the organisation to support other water institutions in pursuit of greater efficiencies in overall water management and water service delivery. Its transformation strategy involved procurement policy reform for goods and services, as well as for infrastructure development. It would promote job creation and the employment of local citizens. There would be provision of bursaries to deserving students from previously disadvantaged backgrounds as a method for not only self-upliftment, but also for overall poverty alleviation. The TCTA’s pre-determined objectives included managing the implementation of projects to meet defined objectives, operating and maintaining Acid Mine Drainage (AMD) plants in accordance with requirements, raising funding for the implementation of infrastructure projects, and managing debt within the approved borrowing limit and ensuring debt was repaid to ensure the financial sustainability of the organisation. From a financial perspective, the first objective was to ensure the financial sustainability of the organisation. Measures included the cost-effective financial management of corporate operations, reconfiguration of the business model, and sufficient liquidity available to act as a buffer for non-payment by the Department of Water and Sanitation (DWS). The targets included keeping the actual spending on operational costs between 90-100% of budgeted operational costs; the sustainability reserve fund being increased to between R80 and R84 million, created from operational budget savings and sufficient unutilised borrowing facilities to cover one to 30 days delay in payment; and between 90% and 100% of planned expenditure -- R725 million by March 2019 -- and the model approved by the Board in July 2018. The third objective was to operate and maintain AMD Plants in accordance with requirements. Measures included maintaining or reducing water levels within the mine voids; monitoring the quality of treated water from the Western, Central and Eastern Basin treatment plants; and the Board-approved strategy for the operation and maintenance (O&M) of AMD science, technology and innovation (STI). Targets included the average volume of water treated in the Western Basin of between 30-33 Ml/d; the quality of treated water from plants meeting 90-94% of DWS specifications; and the strategy being approved by June 2018. The fourth objective was to structure project funding and secure institutional arrangements. Measures included project funding being structured and institutional arrangements secured. Targets included the borrowing limit for BRVAS covering an indicative R43.5 million borrowings in 2018/19, approved by the Minister of Water and Sanitation, with concurrence of the Minister of Finance by, June 2018; the BRVAS water supply agreements being signed in April 2018; and the AMD long-term support (LTS0 income agreement being signed by June 2018. Raising funds for the implementation of infrastructure projects was the fifth objective. Measures included the arrangement of funding facilities. Targets included R4 billion loan facilities available for the Vaal River System (VRS) by July-August 2018; funding facilities for MCWAP available by March 2019 to cover R1.250 billion funding requirements for 2019/20; and long-term funding for BRVAS available from January 2019 to cover the balance of the R225 million funding requirements for 2018/19 and 2019/20. Managing debt within the approved borrowing limit and ensuring debt was repaid constituted the sixth objective. The seventh objective was to proactively engage the DWS to ensure effective execution of shareholder strategy/mandate. The measure of this was the resolution of critical project matters identified during the year. The target was 70-79% resolution of critical project matters by March 2019. Objective eight was to ensure organisational positioning for the planned Water Infrastructure Agency. This would involve the prompt articulation of strategic inputs for optimal positioning, and the target was to have the due diligence report submitted to the Board in July 2018. Objective nine was to coordinate and monitor the efficient implementation of the projects within Strategic Infrastructure Project (SIP)-3 and SIP-18. A measure of this would be the satisfactory feedback from key partners on the effectiveness of coordination, and the target was an average effectiveness rating of three out of a maximum of five. Facilitating socio-economic development and transformation through TCTA projects was objective 10. A measure of this was the achievement of transformation objectives in respect of black-owned entity participation in contracts awarded. The TCTA policy requirement was 30%, but the targets included achievement of 45-50% participation. Objective 11 was to enhance the internal control environment with respect to internal business processes. Measures included the adequacy of the internal control environment; the management of risk to acceptable levels; and an appropriate information communication technology (ICT) governance framework. Targets includes an unqualified audit opinion; an ICT governance charter and framework approved by September 2018; and seven out of ten strategic risks satisfactorily addressed. Objective 12 was to position the TCTA as a thought leader in critical aspects of water security. The measure of this was the contribution of papers to reputable technical publications and conferences, as well as proposals to clients. Targets included four relevant business papers written and submitted, and four papers published from previous and current year submissions. Objective 13 was to improve human resource efficiency and effectiveness. Measures included conclusion of an independent human resource efficiency and effective study, and the effectiveness of training on human resource efficiency. Targets included a report and implementation plan approved by the Board in October 2018, and an average effectiveness score of three out of five. Developing a succession planning policy was objective 14. Approval of the policy and the implementation plan was a measure of this, and approval by the Board by July 2018 was the target. Objective 15 was to ensure the organisational culture was in support of the business strategy. An improvement in the organisational climate was a measure of this. Partnering with key stakeholders to address current issues of water security. Establishment of intergovernmental partnerships and strengthening of relationships with DWS. Optimisation of resources in an enhanced work environment. Ensuring mechanisms for enhanced financial sustainability. The main fundraising activity for 2018/19 would be for the Vaal River System. The VRS short-term funding strategy mainly comprised the refinancing of the WS05 -- projected at about R9.2 billion -- on 1 August 2018. About R6 billion would have to be raised to fund the redemption over and above the project’s cash flows and cash reserves. The funding plan involved the issuance of R2.7 billion in Johannesburg Stock Exchange (JSE) listed bonds and R3.5 billion of commercial paper. The continued lack of appetite for state-owned enterprise SOE debt, which had resulted in the TCTA aborting its first auction in February 2018. The main reason indicated for the lack of interest was on-going concern about the governance at SOEs. Some investors indicated their reluctance to fund under the existing capital markets’ programme documentation. The strain on TCTA’s liquidity resulting from delayed payments from the DWS was also indicated as a concern. Analysis of the reasons pointed to a strong possibility of future auctions encountering the same problem unless the situation was addressed. As a risk mitigation, the TCTA was accelerating the process to raise R8 billion in loans from commercial banks and development finance institutions (DFIs). It was fast-tracking the process to finalise the new Domestic Multi-Term Note (DMTN) programme in order to have it registered by June 2018. It was actively engaging with institutional investors to find ways to improve investor protection under the new DMTN. There was on-going engagement with the DWS and National Treasury (NT) on delayed payments, as well as measures to enhance liquidity. Road shows were planned to address the concerns of investors and funders. The Chairperson said that one thing which had been picked up regarding the submissions was that they had been submitted as if they worked independently, and not as if they were part of the DWS entities. He emphasised the lack of mention of the accountability to Parliament amongst most of the entities. The TCTA got involved in all those big projects, and then those projects belonged to other groups. He said that with leverage came cheaper costs, and this should have been considered in more detail. 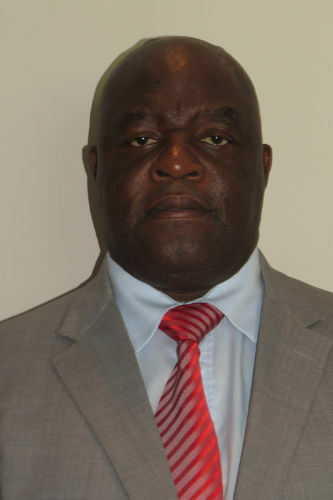 Mr H Chauke (ANC) said he would be happy if the status of the TCTA and the Water Trading Entity (WTA) merging could be made known. The DWS owed the TCTA R2.5 billion, and he wanted to know why that was the case and what the implications were. Ms M Khawula (EFF) said that everything was about planning, but nothing was implemented fully. She wanted to know why that was the case and who oversaw the projects and their implementation. Mr L Basson (DA) stated that he wanted to congratulate TCTA for their performance in the last 30 years in the water sector. He was concerned about the talks suggesting TCTA merging with the Water Trading Entity and wanted to know the effect it would have on the WTA’s borrowing power. The Chairperson asked if a report regarding the acid mine drainage solution could be submitted in the short term. Mr Chauke said that much money had been pumped into the Mzimvubu Dam which would be beneficial to the area it surrounded, yet nothing concrete had been done. Why was such a vital aspect of the dam to the surrounding areas being neglected, and why had nothing been done about it? He emphasised that the National Water Plan was always “coming” and was never ready, and the implications were dire because money was being pumped constantly into water issues yet no solid plan had been established. He wanted to know why that was the case. The Chairperson wanted to know how many black industrialists the TCTA had promoted. 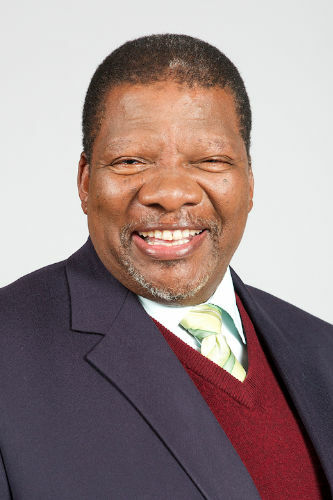 Mr Gugile Nkwinti, Minister of Water and Sanitation, said he appreciated the comprehensive report. The TCTA had not yet interacted him with on a one-to-one basi,s and one of the things he would discuss with them in the planned meeting was that of the practical relationship between TCTA, the construction entity in the Department which employed 300 people, yet did nothing or very little, and the WTA. A big issue raised in meetings was why the Department outsourced when it had the in-house capacity, and the way forward was therefore to look at ways to amalgamate. Mr Busari responded on the question of the agency and the master plan, and said the major issue was that they needed to brief the new Minister, and would come back to present the cost of their APP after the briefing. The issue of the Mzimvubu Water Project would also be presented when they came back. The project had been started a long time ago, and they would be able to put a proper presentation in place to take Members through the phases and where they currently stood on the project. Mr Basson said that last year the accruals had been in the region of R7 billion. That was very concerning, as he did not see a future for the Department if they followed that trend. Projects and services could not be done with a budget where more than a quarter of it came from accruals. Ms Jeanette Nhlapho, Chief Operating Officer (COO): TCTA, said the question of the structure would be responded to in the future and would indicate everything, including its accountability to Parliament. The meeting with the Minister would be concluded soon in order to fast track issues which needed to be addressed. The issue of the Ernst & Young audit reports would be submitted immediately after the meeting. A strategy regarding the outsourcing was being dealt with and formed part of the performance monitoring. The black industrialists’ issue would be reported back on, as it one needed to go back into 30 years of history to check. The issue of the Mzimvubu Dam would be reported back on. The implication of the R2.5 billion non-payments from the Department had various implications, mostly serious, and was one of the reasons the R8 billion bond had been aborted. The TCTA was engaging with the Department to try and get that money. The Chairperson said the question about black industrialists that were promoted did not require 30 years of history to be looked at, as it was something which was very new. In government policy, it was not more than even five years old. The Minister said that the master plan had been consulted and was almost ready to be submitted to Cabinet. The funding model issue was not the result of a lack of payment, but it was because the money had been paid to the WTE and they had not passed the money on. Therefore the funding model needed to be changed. The Water Research Commission (WRC) said its strategic goals embraced transformation and redress, informed policy and decision making, the development of innovative products and services for economic growth, sustainable development solutions, and human capital development in the water and science sectors. Goal 1 was to enhance and protect water as a resource across the value chain. The key strategic areas were water resources and waste management, water linked ecosystems together with the Light houses on water quality and health and sustainable water behaviours, big data and ICT in the water sector. Goal 2 was equitable access to reliable, sustainable and acceptable water resources and water and sanitation services. The key strategic area was on water use in agriculture, water resource management, and Light houses on sustainable water behaviours and water sensitive design. Goal 3 was an enhanced contribution to socio-economic development and transformation by the sector. A key strategic area was innovation and business development, the WRC’s capacity building strategy, Light houses on the water, energy and food nexus, the WRC’s supply chain management (SCM) practices and support for small, meium and micro enterprises (SMMEs) and historically disadvantaged individuals (HDIs) in the water and science sector. Goal 4 was an efficient, effective and development-oriented water and sanitation sector. A key strategic area of this was the research and development branch -- water resources and waste management, water-linked ecosystems together with the Light houses on water quality and health and sustainable water behaviours, big data and ICT in the water sector. Goal 5 was sound cooperative governance and an active and engaged citizenry. A key strategic area of this was the Light houses on water quality and health and sustainable water behaviours, big data and ICT in the water sector. The budget had been decreased from R106 million in 2017, to R50 million in 2018, and the number of projects had been cut from 75 to 60. Projects with SMMEs as leads had decreased from 22 (31%) in 2017 to 17 (28%) in 2018. Community-based projects had increased from 14 (18%) to 27 (45%), while those with women project leaders went from 28 (39%) to 25 (42%). Youth-led projects had been established in 2018, and had started with eight (31%). The WRC’s financial sustainability was linked to the strategy of creating new products and services, and developing sustainable solutions. The risk of fraud and corruption, as well as the inability to recover in the event of a disaster, was linked to the strategic objective of financial sustainability and corporate wellbeing. The Council described the strategic goals of its five portfolios. The strategic goal of the impact portfolio was to develop innovative products and services for economic growth. An indicator of this was the number of innovations, products and services that had been supported and implemented. The strategic goal of the partnerships portfolio was to promote transformation and redress. An indicator of this would be the development of an inclusive strategy that assisted tertiary institutions to add value to their activities in the water domain. The research, development and innovation portfolio strategic goal was to enhance the water knowledge and innovation cycle. The indicator of this included the number of new research projects initiated and comleted in the 2018/19 financial year. The financial portfolio strategic goal was to maintain financial and income sustainability. Indicators of this included the total number of leveraged income; the percentage of the internal and external audit findings fully addressed; and the achievement of an unqualified audit report. The strategic goal for the human resources and corporate wellbeing portfolio was to enhance social and corporate responsibility. The indicators included the total number of active research and non-research community-based projects; the increase in employee engagement by conducting surveys that established the gap between current reality and the vision; and maintaining the number of staff with Masters degrees and PhDs, and the total number of external training courses attended. Mr Basson said that 82% of rivers were polluted due to waste-water treatment plants, including the Vaal and the Hartbeespoort Dam. Previously, an investigation had been requested to find a method to clean the dams, but the Department of Environmental Affairs (DEA) had taken that over, and he wanted to know what the status was. More elaboration was needed on the innovation and technology that had been mentioned. 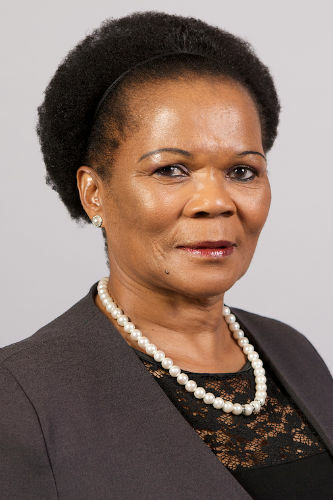 Dr Nozibele Mjoli, Chairperson: Water Research Commission, responded that the misalignment of the reporting framework was being addressed by a legislative amendment. The issue of the river pollution was a deep concern and the capacity of the enforcement team was being increased in the area of Inspectors. The 2015 sanitation policy had focused on waterborne infections, and had not made any explicit mention of the innovations which had come from the WRC. The objectives of the WRC could be used to help and inform municipalities regarding water issues, as municipalities were eager to learn, but they just needed guidance. Ms Khawula presented a very long question and comments in isiXhosa for about five minutes. Dr Mjoli responded that the WRC was a research institution and its power was vested in research, which it used to provide solutions. It did not have the power to implement, enforce or penalise anyone -- that responsibility lay elsewhere. The Chairperson stated that the issues were straightforward. Dr Mjoli had been correct in saying that the WRC’s power was vested in research, but the extent of the harm to the water needed to be investigated further. There could not be people basically cleaning their water three times before they could use it -- that was not acceptable! The issue was not new, and the Committee had visited Madibeng four or five times since 2015 already. The statement he was trying to make was that someone was responsible for the lack of action that was going on there. He wanted to know what the way forward was. Mr Basson said he wished to add to the issue of Madibeng. There were 827 waste-water plants in South Africa, and in the 2013 report they had stated that only 16% of those plants gave clean water to the country, and therefore the issue of Madibeng was not restricted just to Madibeng -- it was just highlighted there, but occurred in several places. He emphasised that the Department had spent many millions of rand on Madibeng, and a few months later they were back in the same position. If the Department could not formulate a strategy or plan for the management of their waste-water plants, then they should rather remove them, as they were doing more harm than good in the long run. Referring to ground water level trends, he said the table from the National Overview of Groundwater Level Trends report indicated that the levels continued to deteriorate significantly in the Western Cape, Eastern Cape, the western and southern parts of the Northern Cape and the central part of Limpopo during 2017. The ground water levels observed in the last year in KwaZulu-Natal, Gauteng, Mpumalanga, the north-eastern part of the Northern Cape and the North-West provinces depicted a very good increase. In Free State province, a small decline in water levels had occurred, but they were stable. The ground water levels over the last two years still showed a high declining trend of more than 70% in the Western Cape, Limpopo and Eastern Cape provinces. A good but stable recovery was observed especially over the past year in KwaZulu-Natal, Gauteng, Mpumalanga, and parts north of the Orange River in the Northern Cape. This improvement had been insufficient for the ground water levels to rise to those observed in 2015. Despite the late summer rains received in March/ April 2017 and in 2018, the country’s dams were still under stress and had to be managed with caution. The water supply systems in five provinces were still being operated under drought conditions. In an effort to reconcile the water requirements with water availability, the DWS monitors the implementation of water conservation and water demand management (WCWDM) in the country. The WCWDM interventions and targets were set during the development of the associated reconciliation strategies. The results from the estimated 2015/16 water balance for all municipalities indicated water losses of 1 414.49 million m3 per annum, and non-revenue water (NRW) of 1 632.93 million m3 per annum. The national summary reflected that the system input volume had been consistently increasing since 2006, with improving water losses and NRW since 2009 and 2011 respectively. The estimated 2015/16 water balance for all municipalities indicated water losses of 1 462.01 million m3 per annum and non-revenue water of 1 659.59 million m3 per annum. The reduction of water losses was attributed mainly to the shift in water losses to unbilled consumption in the water balance. Per capita consumption had remained constant over the past nine years, but WCWDM efforts must be elevated considering that these figures were above the international benchmarks of approximately 180 l/c/d and the country was one of the 30th driest in the world. The WCWDM must be urgently implemented in all provinces, especially with the current drought in the country. There was a well developed infrastructure, with 5 511 registered dams in South Africa. State dams stored 94% of all available water resources in the country, whereas the private sector stored the remaining 6%. Of the 5 511 registered dams, 76% were small, 21% were medium and 3% were large. Compared to the 2017/18 budget of R15.6 billion, the allocation of the DWS for the 2018/19 financial year had been reduced to R15.5 billion. The budget was expected to reach R17.4 billion in 2020/21, which was an average annual increase of 3.7%. The allocation to water infrastructure development accounted for 80% of the Department’s budget. This aimed for targeted and sustained African and global cooperation in support of the national water and sanitation agenda. The analysis of the implementation of the international relations implementation plan was the focus area. The strategic objective was to enhance the management of water and sanitation information, as well as a coordinated approach to water and sanitation infrastructure planning and monitoring and evaluation. The focus areas included the water monitoring network implementation plan, with the completion of gauging weirs in water management areas (WMAs); the national water and sanitation master plan; master plans for district municipalities; and an audit of water service authorities on delivery of water and sanitation. A strategic objective was the availability of adequate water and enhanced provision of sustainable and reliable water supply and sanitation services. The focus areas included bulk raw water projects packed and ready for implementation; bulk raw water projects under construction; and mega, large and small water and wastewater services infrastructure projects under construction and completed. Strategic objectives included water resources protected through water supply and sanitation services regulation, compliance monitoring and enforcement, freshwater eco-systems protected from Acid Mine Drainage, and equitable water allocation and availability for socio-economic development. Focus areas included assessing wastewater treatment systems against the ‘Green Drop’ standards; monitoring non-compliant water supply and wastewater systems; AMD mitigation strategies developed; and applications for water use authorisation finalised within 300 days. The Department currently had a confirmed shortfall of R1.9 billion made up of accruals to date, the Butterworth emergency, and definite amounts which needed to be paid back to National Treasury. There was an additional projected shortfall of R2.5 billion made up of the ‘War on Leaks,’ additional anticipated invoices for accruals, as well as forecast invoices for Phase 1 of the Giyani project. This brought the total shortfall to R4.5billion. The Department had to find a minimum amount of R1.9 billion of the confirmed shortfall from the current budget. Transfers to municipalities - R5.4billion. Transfers to water boards and Komati Basin Water Authority (KOBWA) - R903million. This left an available balance of R4.6 billion for goods and services (R1.6 billion), the Regional Bulk Infrastructure Grant (RBIG) 6B (R2.9 billion), and other transfers for the compensation of employees (R156 000). The R1.6billion for goods and services included R439 million needed for rent. There were also contractual commitments of R472 million which needed to be paid in the current year, which left an available balance of only R687 million for the payment of the shortfall. The R2.9billion for RBIG 6B includes an amount of R440million which had already been reprioritised for the bulk infrastructure required for the completion of the bucket eradication programme. Contractual commitments which would need to be paid in the current financial year amounted to R2.1 billion, leaving an available balance of only R364 million for the payment of the shortfall. After considering the current contractual commitments, the Department had an available balance of only R1 billion --R687 million from goods and services and R364million from RBIG 6B. However, this available balance was on the assumption that there was no new procurement in the current year. It was not adequate to settle the confirmed shortfall of R1.9 billion, and would result in an overdraft of R940 million. The overdraft would increase to R2.4 billion if ‘War on Leaks’ and the anticipated additional invoices for Giyani were paid. The overdraft would increase to R3.4 billion if the estimated additional invoices for accruals were received. The Department would therefore not be able to settle its obligations, even if no additional procurement was done in the current year. No new procurement should take place in the current year. The budget should be used only to settle current contractual commitments. No variation orders should be entered into in the current year. The demand plans and procurement plans for 2018/19 must be withdrawn. Negotiations should be made with KOBWA, Sedibeng Water and affected municipalities which did not get their transfers in the previous year to try and absorb it within the current year’s allocation, as the Department was not in a position to allocate more money to make up for the transfers not made in the previous year. Engagements should be made with other stakeholders for the payment of the invoices of R550 million for the ‘War on Leaks,’ as well as the additional R737 million in invoices to be received in the current year. Invoices from water boards for work done for which there was no agreement, should not be paid. Engagements should be made with National Treasury for additional funds in the current year, as there were currently no funds for any procurement. The Water Trading Entity (WTE) focused on the management of financial activities that related to the management and maintenance of bulk infrastructure in order to ensure the sustainable supply of water through construction and maintenance for raw bulk water supply, and the provision of financial management support to Proto-Catchment Management Agencies (CMAs). Its reporting framework was based on Generally Recognised Accounting Practice (GRAP). The application of GRAP standards was based on accrual accounting and not the cash accounting applicable to national Government Departments. The WTE had budgeted to spend R748 million less than its expected revenue in order to reduce the overdraft. Strict budgetary control had been exercised during the year, and this surplus would be realised. The June 2017 Treasury target had been met, and as at 31 March 2018 the overdraft was R2.006 billion. The average daily overdraft for the month of March 2018 was R1.529 billion. The WTE had written to National Treasury to request that the overdraft be decreased by another R748 million during 2018/19 and not by the full R1.927 billion as previously required. A meeting between National Treasury and the WTE had been scheduled for 20 April 2018 to discuss the overdraft repayment. The Chairperson said that issues with water should have been dealt with by the DWS, but had been done by the Department of Environmental Affairs, and although it had to do with the environment, there needed to be a mutual partnership between the two departments. The Catchment Management Agencies needed to be looked at, and the costs and the benefits needed to weigh on each other in a mutually beneficial way. Mr Chauke said that the point raised by the Chairperson on the mandates of the entities should be understood clearly, especially with regard to the cleaning of rivers. He requested that a report on the updates be submitted to the Committee. A vital issue and question that needed to be answered was about who controlled and owned the water. He asserted that the State owned and controlled the water, and those were rights that could not be taken away from people due to legislation, as it was something which needed to be provided to people at all times. He wanted to know what the storing of water entailed -- who stored it and who authorised it. He emphasised that the goal was to achieve the targets which had been set and those issues which needed to be addressed and responded to. All the entities needed to be able to respond to the questions when they were asked, and not give the typical answer that they would come back and give an answer -- that response would be accepted only where the circumstances required feedback and clarity to be sought. The use of the abbreviations and unusual jargon needed to be broken down into a key, or explained in order for Members and the public to understand and know what was being talked about or explained. The overuse of formal jargon could be seen as misleading or trying to hide certain things. The Chairperson asked if the dams referred to in the presentations included those in the catchment areas, as it was confusing. Ms Pamela Tshwete, Deputy Minister: DWS, said three departments were dealing with the issue of cleaning the rivers. They were working in silos, which was an issue -- they needed to work together in a partnership to be more efficient and achieve more in a shorter time. The storage and authorisation of the water and who controlled it was an issue which needed to be looked at, as it was not the first time the question had been put forward, and the Department needed to know who controlled what. Regarding the dams, to her knowledge they included all the dams in South Africa and not a specific group. The National Water Act, in terms of section 35, indicated how the water catchment management areas could be funded and there were 11 functions which they were meant to be doing. The Minister performed the functions of the CMAs where the CMAs where not functional. The Chairperson said that there were many issues with which the Minister needed to familiarise himself, and responses could be provided at the next meeting in the following week.